What I’m Reading: I finished 17 & Gone by Nova Ren Suma and whoa… It was a trip. The story turned out to be something completely different from what I was expecting and I am impressed. Such gorgeous writing! Now, I’m reading 17 First Kisses by Rachael Allen, which is adorable. I recommend it for the utterly authentic voice alone. It’s so much fun being in Claire’s head! What Else I’ve Been Up To: Listening to This American’s Life‘s new program, Serial, and *loving* it. From the website: Serial is a podcast where we unfold one nonfiction story, week by week, over the course of a season. We’ll stay with each story for as long as it takes to get to the bottom of it. This season’s story is a sort of high school murder mystery/possible wrongful conviction situation and it is fascinating. Highly recommend! We finally, finally, FINALLY had professional family photos taken! It’s only been six years. 😉 This was one of my Thirty Before 35 goals, and I’m super excited to cross it off the list. I’m also super excited about this sneak peek our photographer, Andrea Faye Photography, shared with me. I found Autumn-colored M&Ms at the store the other day and thought cookies would be the perfect way to use them. I tried this recipe for the first time and they turned out so yummy! Over the weekend we visited the Gulf Breeze Zoo, which is quaint and really fun. My daughter got a kiss on the hand from a giraffe! What Works For Me: Taking inspiration from successful writers. This conversation between Lena Dunham (creator/star of HBO’s Girls, a show I adore) and author Judy Blume (the voice of my childhood) for instance (click the link for an edited transcript). So inspiring! 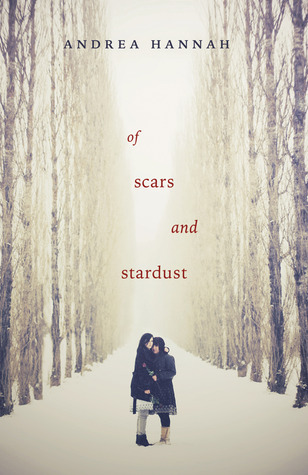 Plus, book birthdays this week for two amazing books from two delightful authors: Bleed Like Me by Christa Desir and Of Scars and Stardust by Andrea Hannah. I’ve read them both and they’re fab! Thanks, lady! You should totally do a 30 Before 30 list! Mine’s been super motivating. Nice to have something to keep me accountable. 🙂 Have a wonderful week, Liz! Your family photo is absolutely beautiful, Katy! Love it so much, and yay for reaching another goal 🙂 Sounds like you’ve been getting lots of great reading and writing done; as always, cheering for you ❤ I love the giraffe kiss, too! We went to the Santa Barbara Zoo this summer and got to do something similar. My girls loved it, though we did get thoroughly slimed 🙂 Wishing you all the best things this week! I’d love to try those M&M cookies. I still need to think of something to make for the Halloween party I’m going to in a few weeks. Last time I went to a party hosted by these friends, everyone loved my vegan chocolate cake with strawberry jelly flavoring. The cookies are yummy, Carrie-Anne, but definitely not vegan. 🙂 Your cake sounds fabulous, though. Have a wonderful week! And yum, those cookies look delicious. Good luck with your companion WIP! Thanks, Kim! 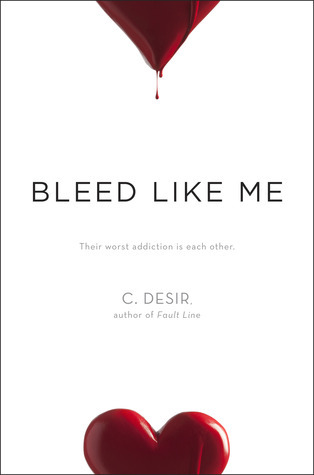 I read beta read BLEED LIKE ME ages ago and was totally moved by it. I’m such a fan of Christa’s! I hope you’ll check it out. And have a wonderful week! Serial sounds really interesting! I’m going to check it out (and love TAL!). I LOVED 17 & Gone. Nova has a master on prose. I would read her grocery shopping list. Valerie, let me know what you think of Serial! I am loving it — and at the same time hating it because I want the whole story NOW. Fascinating stuff, especially for YA writers. Thanks so much for your kind words about our photo, and have a wonderful week! I love love love love the pictures of your family (both this one and the one of Claire with the moon that you posted on FB) they are gorgeous!!!! I haven’t read any of the books you’ve mentioned today, so now I’m gong to be adding a bunch more to my TBR pile. The Nova Ren Suma book, in particular, sounds great. I love when books take an unexpected twist and surprise me. Good job finishing a round of revisions on our WiP! I’m super impressed at how disciplined you’ve been with this story. Wish it would rub off on me lol. I’m disciplined with this story because I really and truly love it — probably more than any other I’ve written. Silly me wrote a sequel before the first book sold and now I’m obsessed with it. Fingers crossed that it’ll see the light of day. 🙂 Let me know what you think about 17 & GONE, Jaime, and have an awesome week! Just added another couple of books to my TBR thanks to your post! Love the family pics. I try to get mine done every two years but I don’t think it’s going to happen this year. Ah well. Thanks so much, Melanie! You’re doing much better with family photos than I have. We’re more like every six years. 😉 Happy reading, and have a wonderful week! You just reminded me I have cookie dough in my freezer… MMMM… (PS, you have a lovely family). The double 17s were not intentional — I didn’t even notice! Thanks so much for your sweet words about our photo. I’m happy to go to the beach instead of JCPenny, but I definitely remember those days! Have a great week, Steph! Sounds like you’ve had an amazing week! That family photo is absolutely gorgeous – definitely Christmas card material! Also, I’m loving the Thirty Before 35 idea, I might have to try one of my own — although I’m very much in denial that I’ll ever reach 30 😛 Have a wonderful week, Katy! I used to be in denial about that too, Caitie. I try not to let aging bother me, but ugh… I’m still mentally 22! You’ll have to let me know if you decide to do a list because (of course) I want to check it out. Mine has been very motivating! Have a wonderful week, lady!